Hi there, WordPress users! Version 6.2 of the WordPress for iOS app is now available in the App Store. Sharing just got easier! 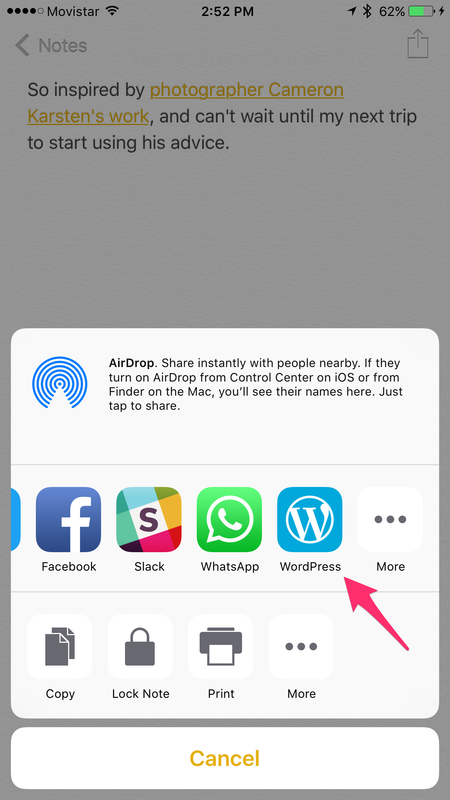 Post content from apps to your WordPress.com site with a new Share extension. 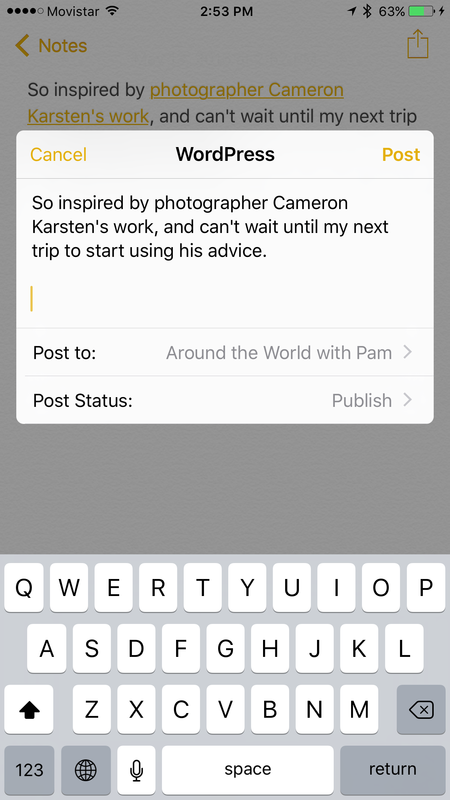 Also, share a post right from your editor’s preview screen. Improved clipboard support: Working with images? You can now copy and paste single images in your editor. Login with ease: We improved error messages for self-hosted users. Enhancements: Because “good” is not enough! Here’s the full list of enhancements. Bugs, be gone! We zapped bugs that prevented images from rendering properly and caused backspaces to misbehave. You can see the full list of bug fixes here! @aerych, @akirk, @alexcurylo, @astralbodies, @diegoreymendez, @frosty, @jleandroperez, @koke, @kurzee, @kwonye, @maxme, @nheagy, @rachelmcr, @sendhil, @mattmiklic and @SergioEstevao. You can track the development progress for the next update by visiting our 6.3 milestone on GitHub. Until next time!